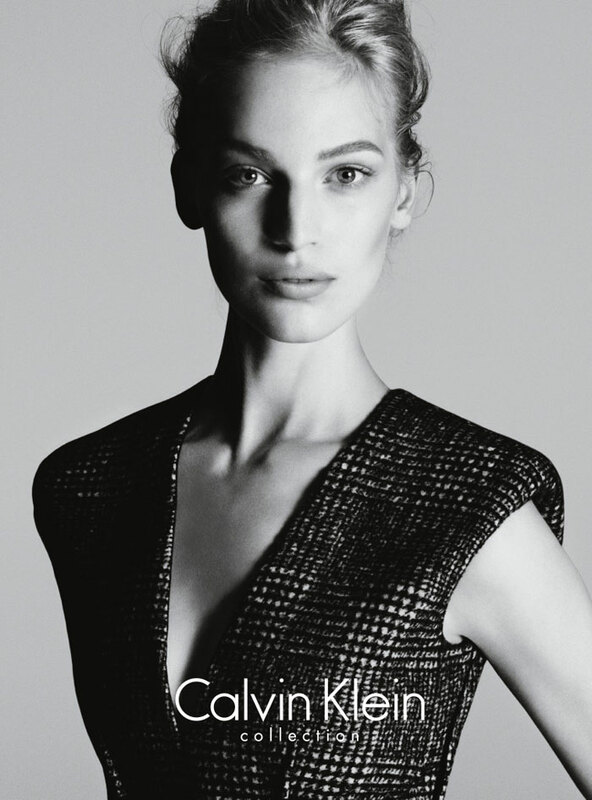 In their simplicity, Calvin Klein Campaign's are virtually timeless and their latest one is no exception. Photographed by the dynamic dup of Mert & Marcus, Vanessa Axente (we first noticed her walking for Alexander Wang last season) looks beautiful, modern and elegant. Featuring looks made up with dark leathers and shot in black and white, the Campaign is rather dark and ever so captivating. Vanessa has something a little Christy Thurlington about her, no?